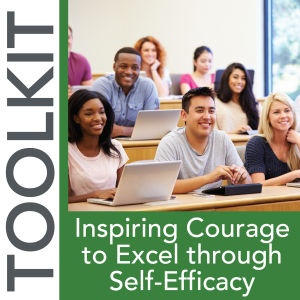 Pre-order this new release! 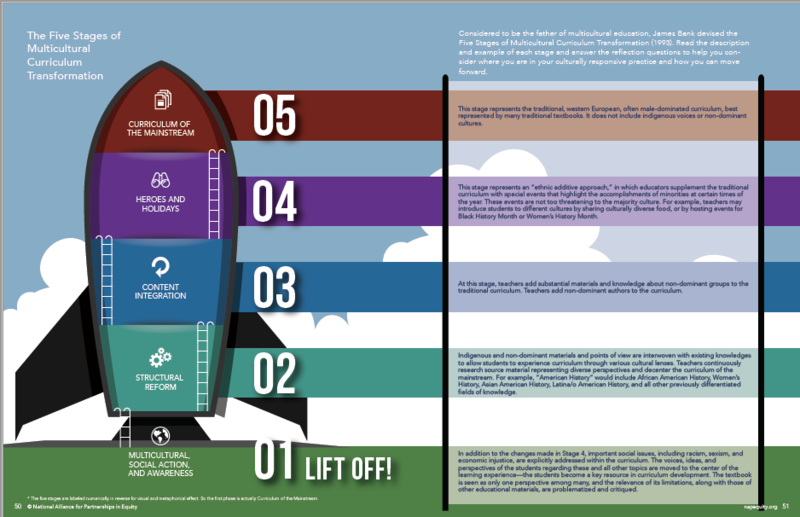 Available for shipment in May 2018. Research shows that when teaching is responsive to diverse cultural norms of behavior and communication in the classroom, students have increased interest, motivation, persistence, and achievement. 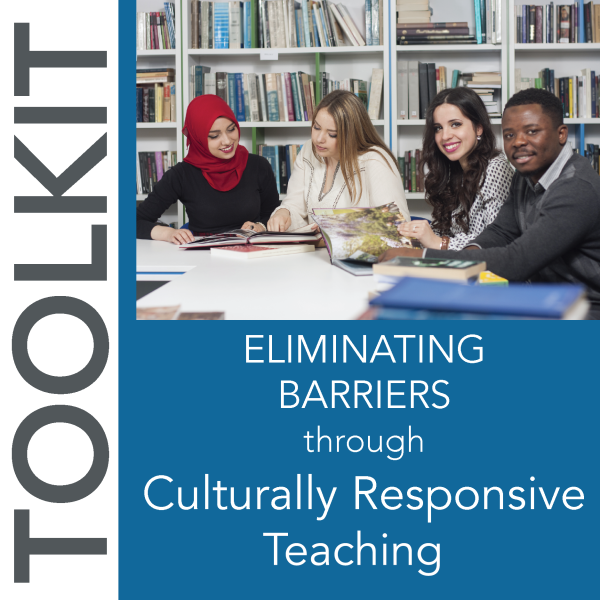 Responsive teaching is when educators relate content and instructional strategies to the cultural backgrounds of their students. 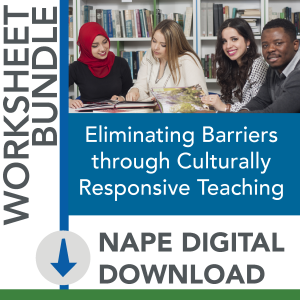 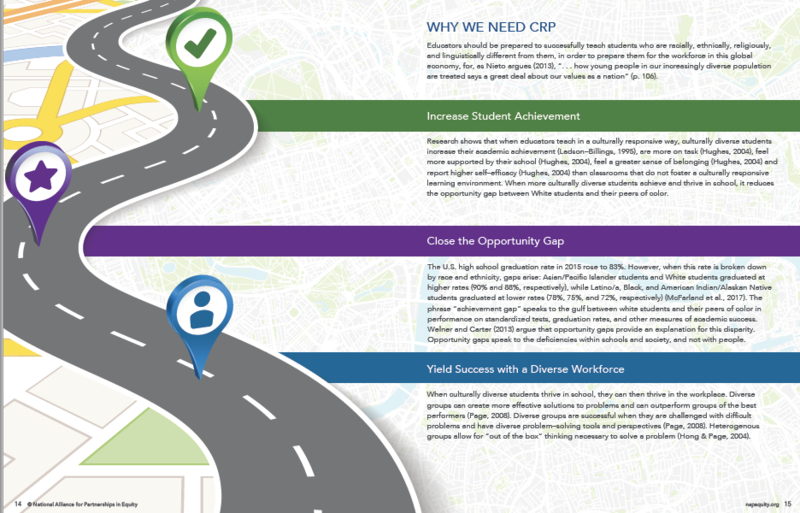 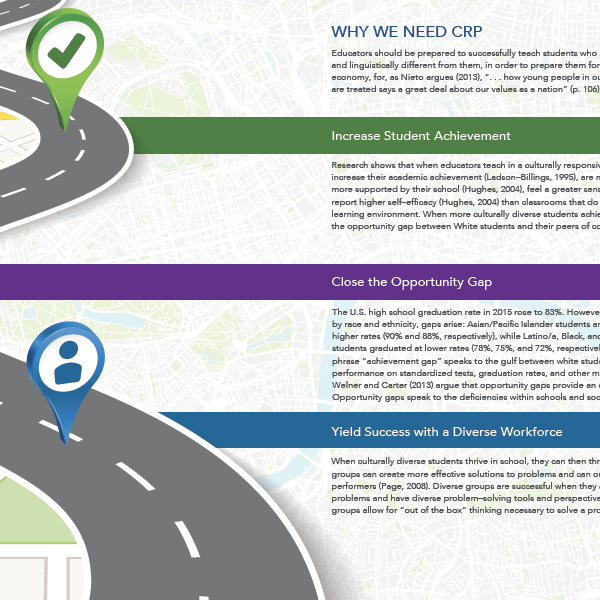 Through a process of examination, reflection, and action, NAPE’s Eliminating Barriers through Culturally Responsive Teaching Toolkit prepares educators to reach, teach, and maximize the success of every student. 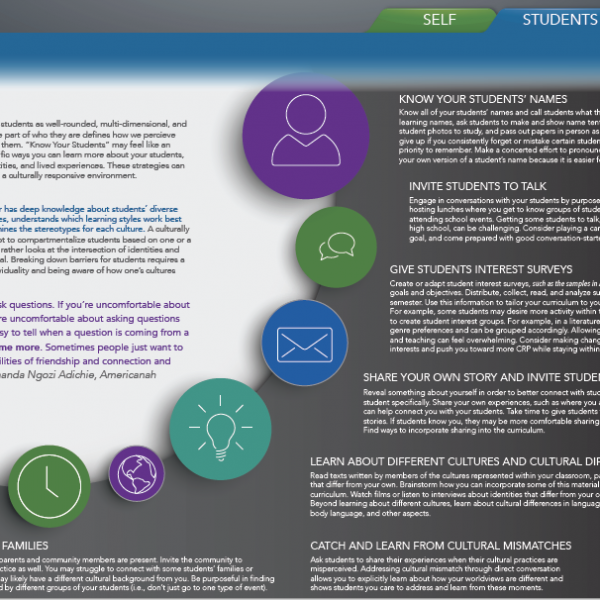 This toolkit is intended to help educators develop mindsets to meet the needs of their students, and to implement curriculum that utilizes students’ cultural perspectives and home or community knowledge. 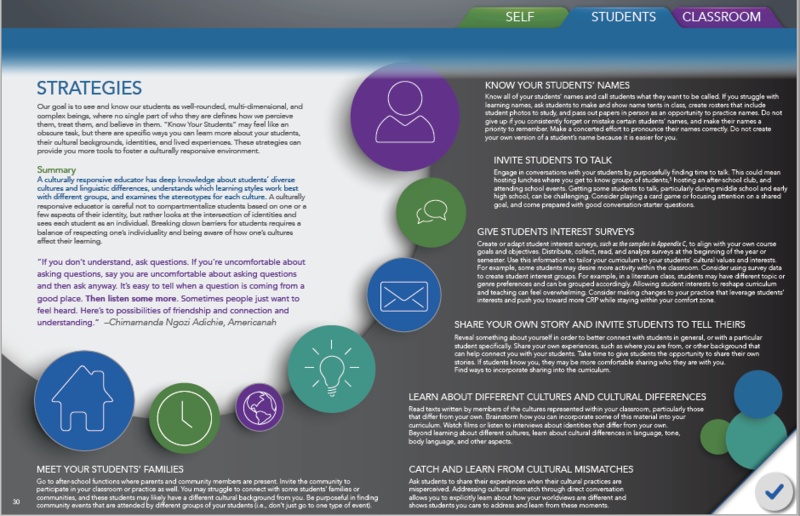 In addition, this toolkit asks educators to investigate their own experiences with Culturally Responsive Teaching (CRT) and develop a unique CRT reflection tool customized to their specific context. 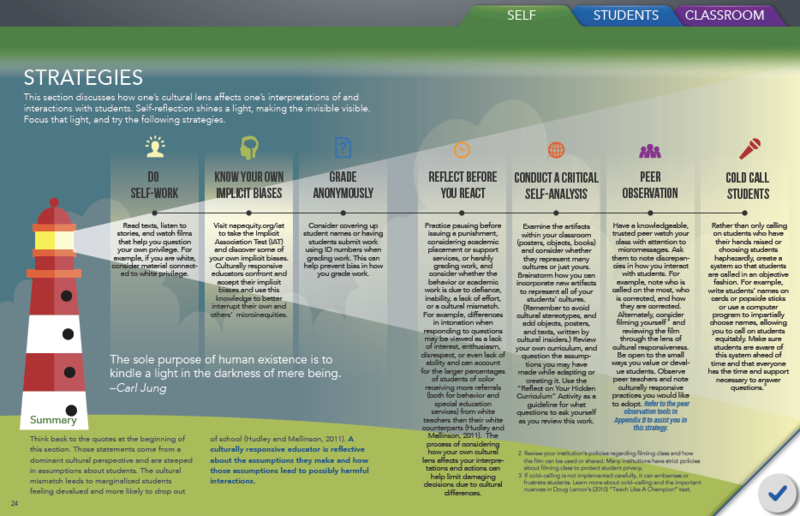 The reflection tool supports evaluation and reflection on current practices. 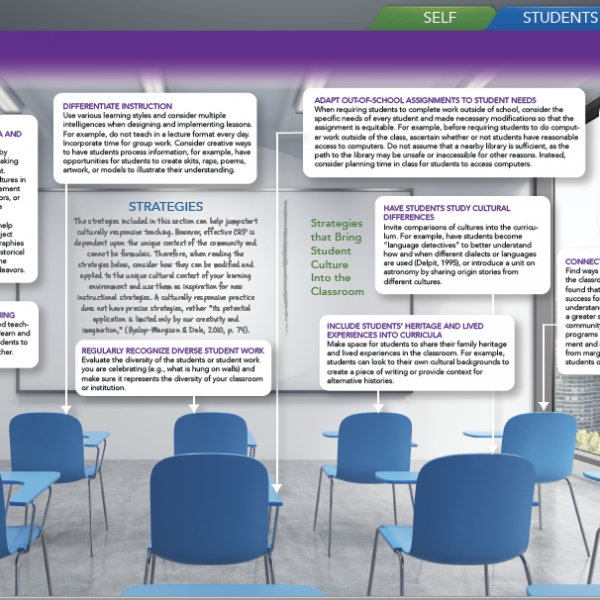 Activities and reflections are incorporated throughout the workbook. 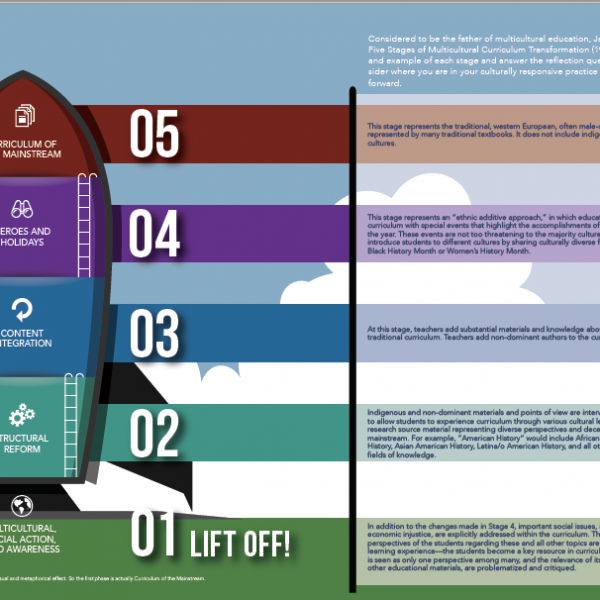 Appendices provide samples and detailed professional learning community (PLC) guides to implement with colleagues. 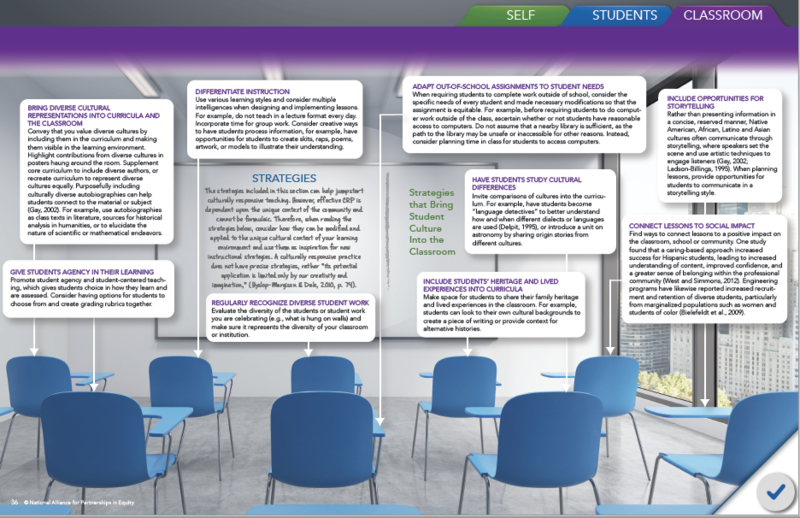 Digital downloads for activities available for purchase here. 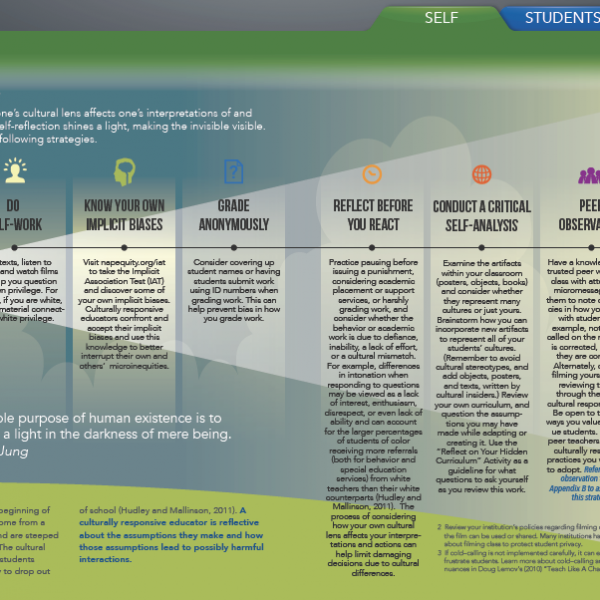 This toolkit also serves as the workbook for NAPE’s accompanying professional development.